I don’t know if it’s the same for you, but about 99% of the time, I just want to stuff my face with food. As a Budget Buffet Barbie, I never patronise extravagant buffets, which are basically beautified versions of highway robberies. After all, spending more than $50 for one meal just does not sit right with me. 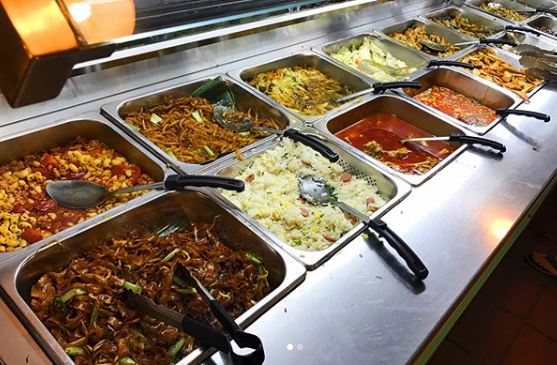 When it comes to buffets that do not cost a pretty penny, humdrum choices like Korean BBQ or steamboat places are usually at the foremost in our minds but are just not exciting anymore. 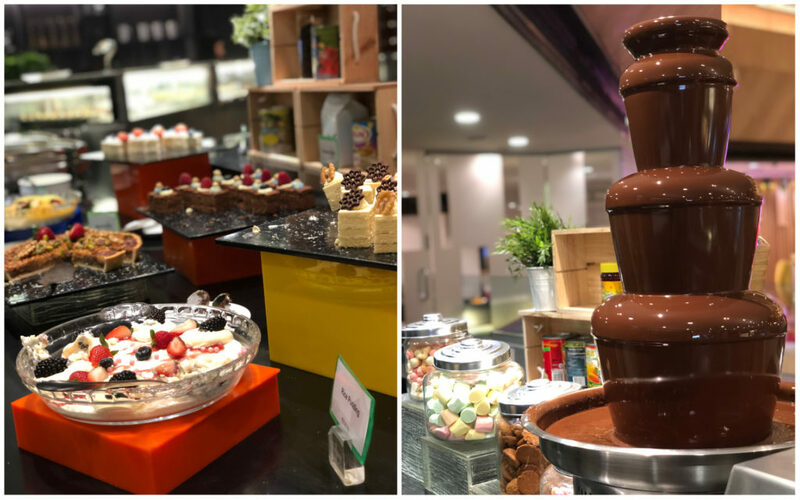 If you are on a constant mission to hunt for bargain-priced buffets that are not a dime a dozen, here is a list of 17 budget buffets in Singapore under $30. Sit tight, enjoy the ride, and thank me later. 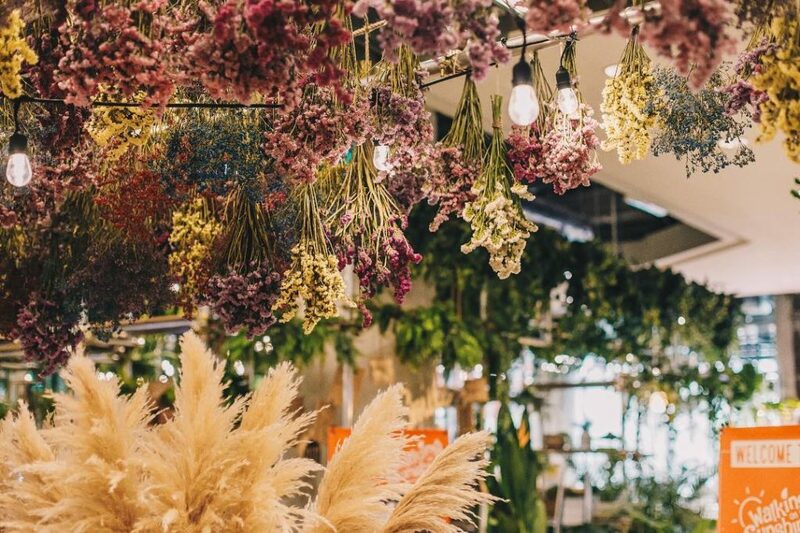 Prepare to wake up early for this one, but you will be walking on sunshine after a Breakfast Buffet at this Korean beauty and cafe multi-concept store at Orchard Central. 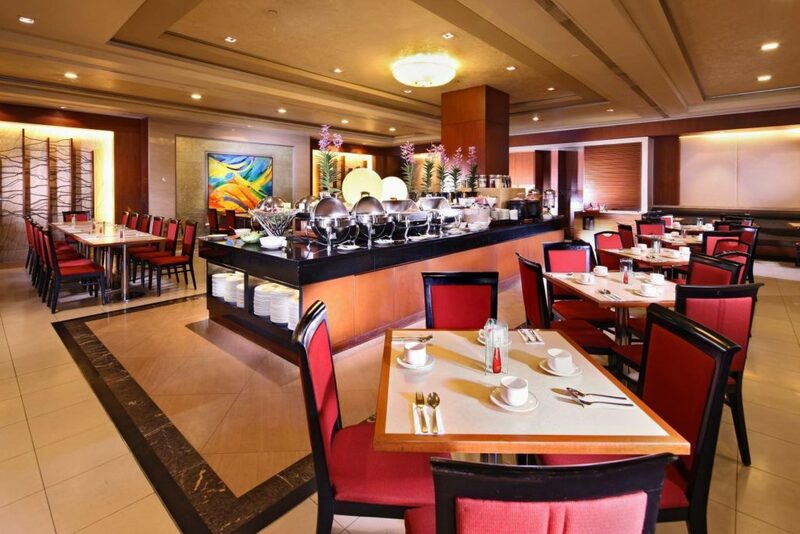 At only $15 nett per person, you can enjoy free-flow breakfast and brunch dishes, isn’t it too good to be true? Well, yes, because it only runs from 9am to 12pm everyday. You will get to enjoy the beautiful garden-themed surroundings and legitimately good food like paninis, soups, and salads. 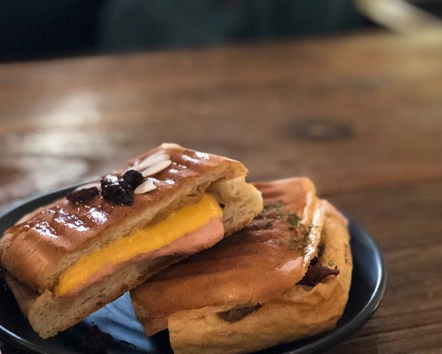 Here’s a peek at what you can get on your table free-flow – Honey Ham Cheese Panini, Eggs Benedict, and Breakfast Platters. 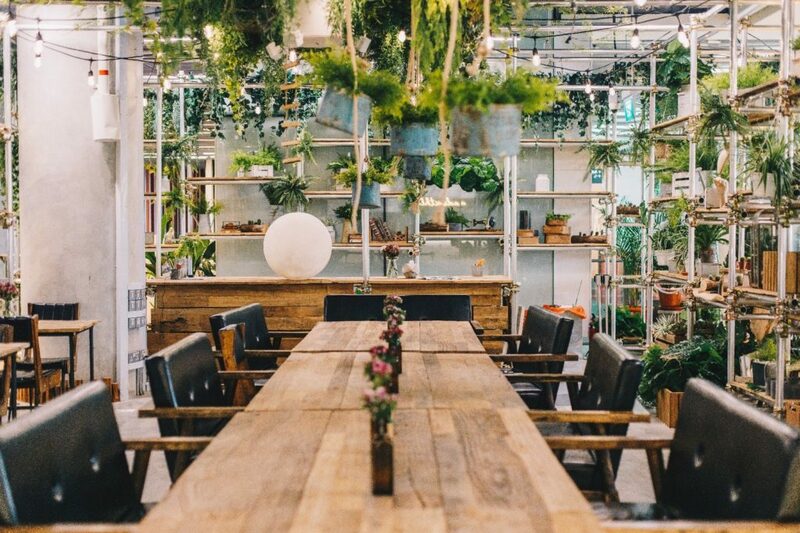 If you are a sucker for all things brunch and beautiful, here’s an ideal destination. Feel free to book an appointment and get your nails and hair done if you have got cash to splash. If you are a die-hard fan of mala, this may be what heaven looks like for you. 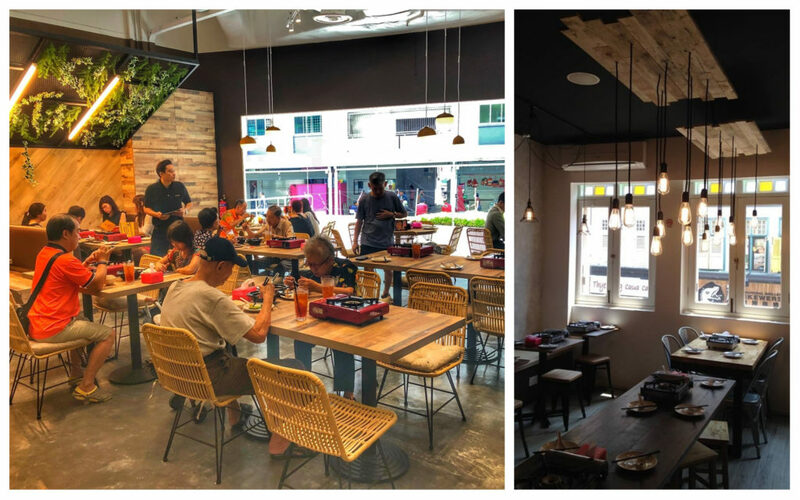 Fat Bird serves a Chicken Hot Pot Buffet with sides at their two outlets at Bugis and Bedok. From 12pm to 4pm and 9pm to 11.15pm on Mondays to Thursdays, enjoy a mala chicken pot feast at only $15.90++, or $18.90 on Fridays to Sundays. You can choose up to 8 different pots at 3 spice levels, and 40 sides at such a low price. 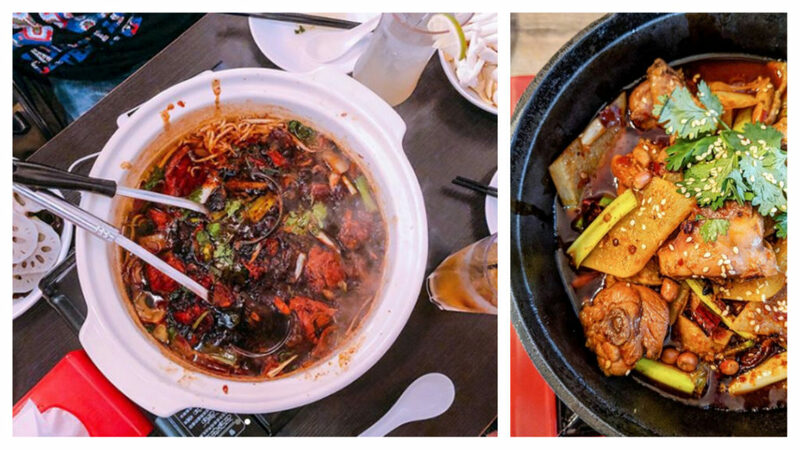 Customise your pot with whatever ingredients that they can offer you in signature pots like the Spicy & Fragrant Chicken pot and Bullfrog pot. 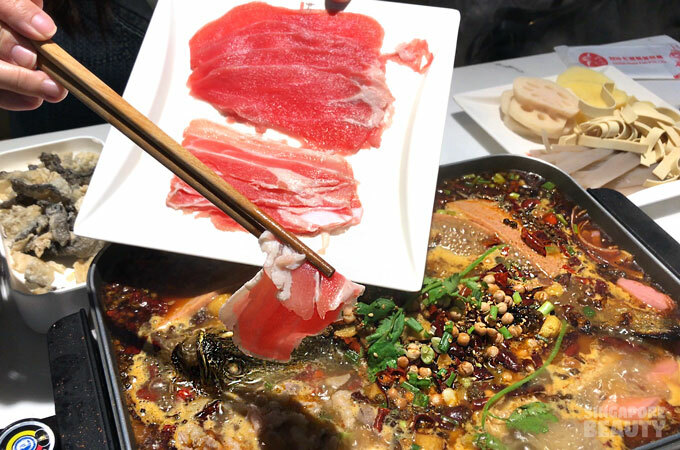 Go ham on their a la carte dishes too if you will, which include options like the Herbal Chicken Soup that gives you a break from all that spiciness, and mantou with condensed milk. 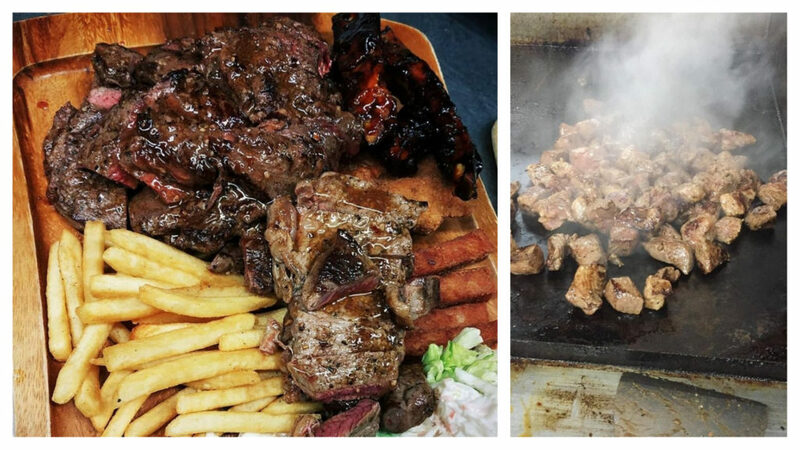 Ravenous meat-lovers hold onto your wigs, there is a Steak & Ribs Buffet in town that is actually affordable. 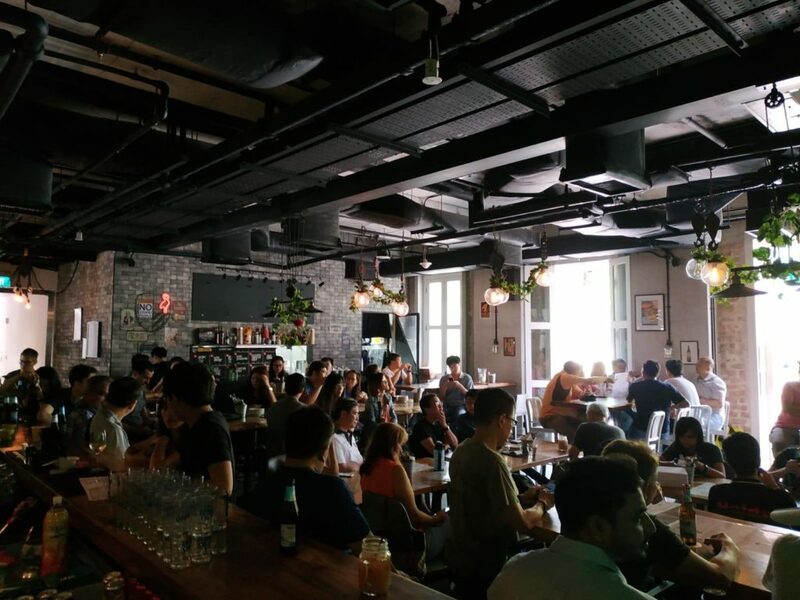 The Armoury is a lively gastro bar at Beach Road that serves craft beers and is better known for their burgers, but how can one miss out on their charcoal-grilled steak buffet? Indulge in a 90mins session during lunch from 12pm to 2.30pm or dinner from 5pm-9.30pm on Saturdays and Sundays only, at a price as low as $30nett. Such a crazy deal attracts crowds, so call to book before heading down. Get your fill of protein with free-flow high-quality cut meats like Rib Eye Steak, Balinese Pork Ribs, and even Grilled Squid. They also provide a generous selection of sides such as pasta, fries, and salads for you to rest your jaws from all the meat-chomping. $10 pints are available if you are out with your friends and itching for a beer. 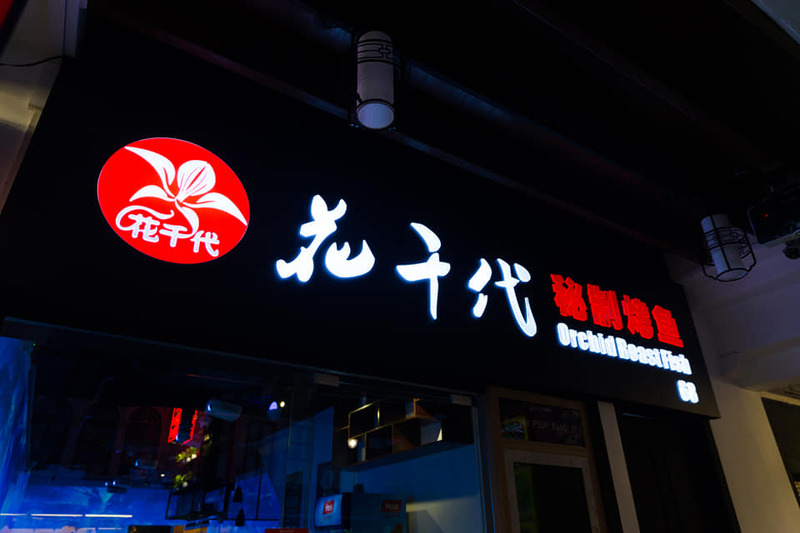 Tucked along the narrow streets of Chinatown, find yourself in for an under-the-sea treat with Orchid Roast Fish’s one-of-a-kind Grilled Fish Buffet. Prices start from $18.80++ during lunch on Mondays to Thursdays and only go up to $24.80++ for a weekend dinner. Release your inner beast and feast on 60 side dishes and 10 different flavours of delicious grilled fish – fragrant spices, special recipe sauce, fermented soya bean sauce, pickled chilli, original spicy, signature extra spicy, chicken broth with mushroom, Sichuan style sauerkraut and black pepper sauce, and the recently-added Curry. 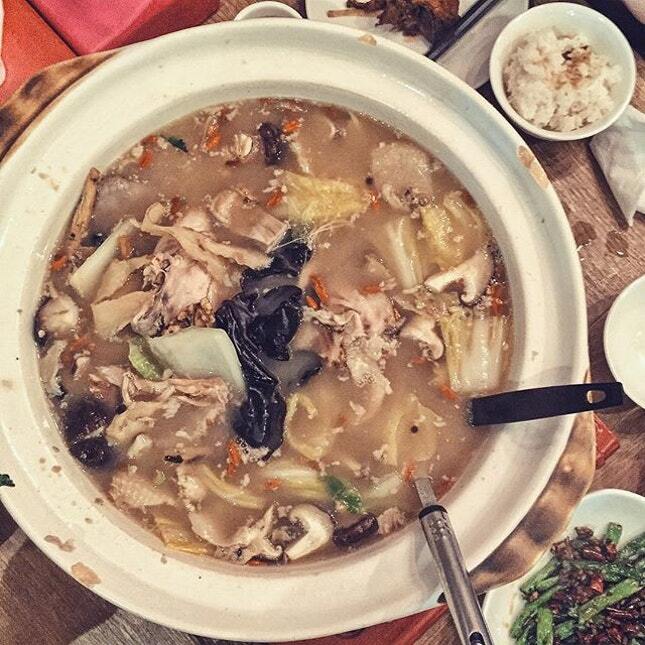 This deal also includes free-flow shabu-shabu meat, not too shabby shabby eh? For a well-rounded meal, you can start off with milder flavours like the Chicken Broth with Mushroom, then slowly move on to intense flavours such as the Fragrant Spices Grilled Fish. There is also a plethora of side dishes like handmade dumplings and crispy fish skin to distract you from ordering more fish. 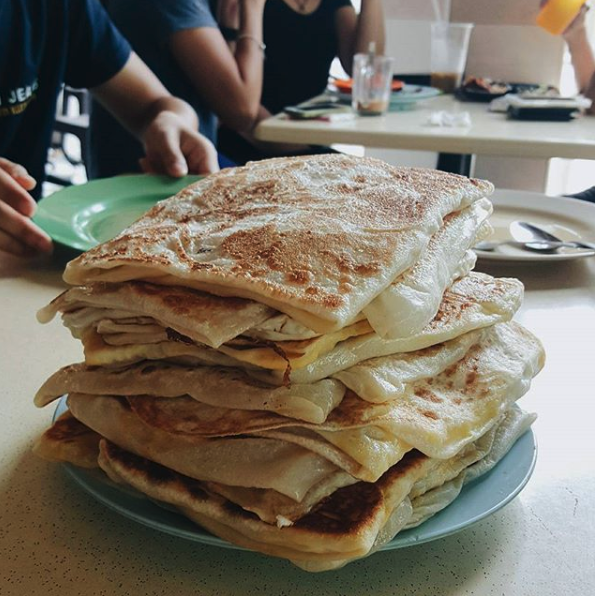 Do you find unexplainable comfort in the fluffy, doughy goodness that only comes from a piece of hot roti prata? 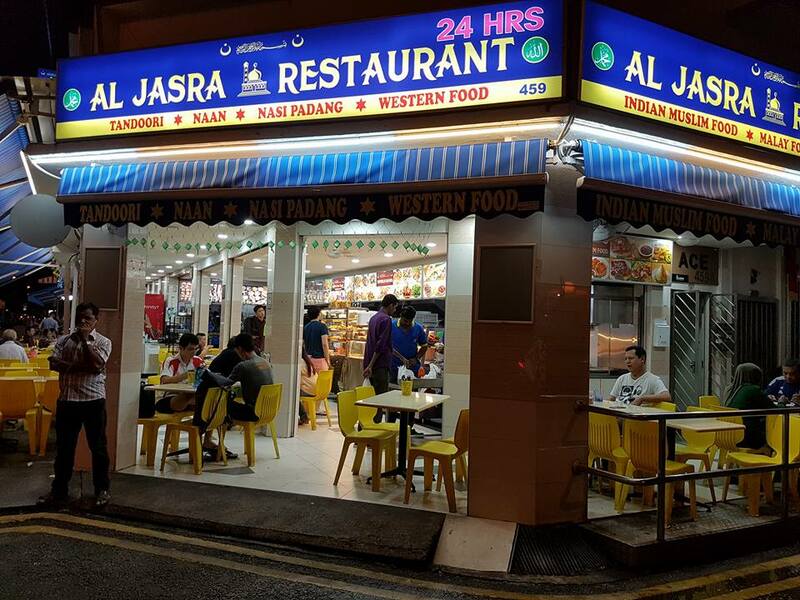 Al Jasra at Kembangan is a 24-hour prata corner that serves up made-to-order, unlimited pratas. 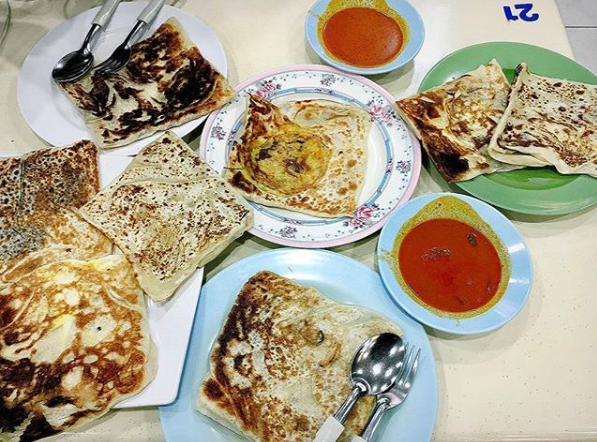 Have as many pratas you can stomach at a flat rate of $7.90 all day every day, even at an ungodly hour like 3am. Explore the menu of 16 sweet and savoury varieties of prata, from the familiar egg and plain to adventurous flavours like pineapple and ikan bilis. If you don’t want to go too crazy, opt for flavours like the Masala, Mushroom & Cheese or Honey. 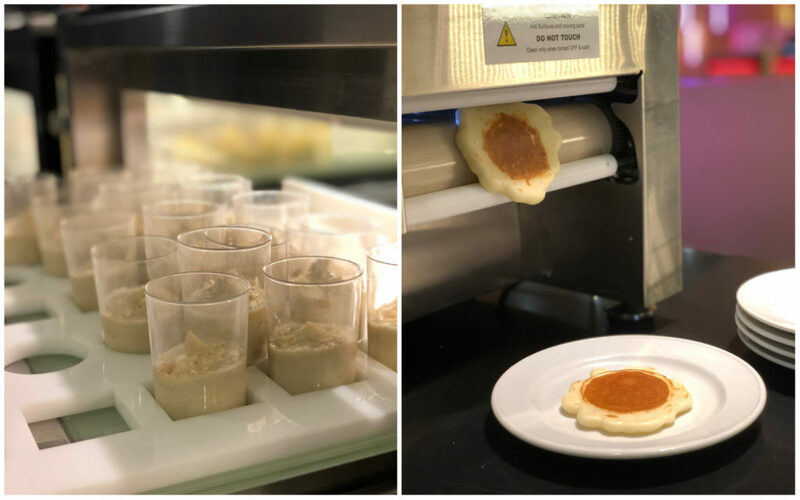 This really stretches the dollar for heavy eaters, but if you have the stomach of a bird, you might want to just visit your nearest coffeeshop for a prata fix. 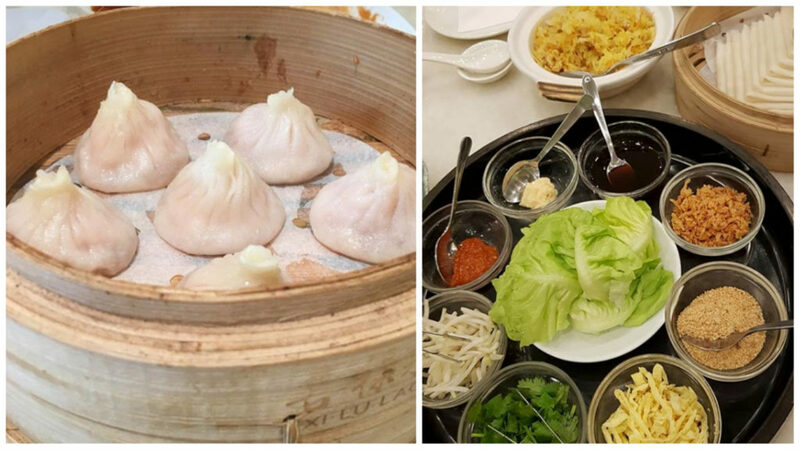 ‘I have had enough of xiao long bao’, said no one ever. 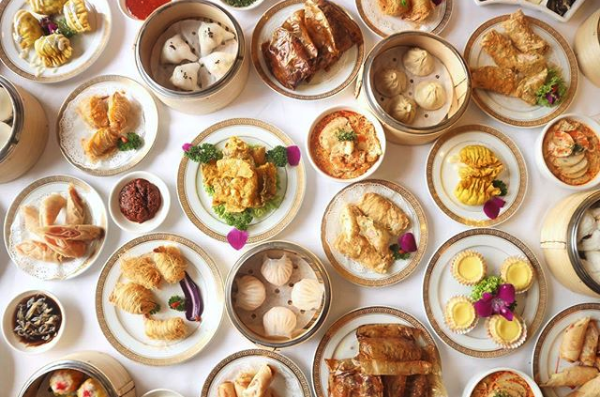 At Lao Beijing’s Hi-tea Buffet, be prepared to stuff yourself silly with the addictive little morsels and other dim sum choices. The high tea buffet only sets you back $18.80++ on weekends and even PHs, but the downside is, it only runs at an awkward timing of 3pm to 5pm. 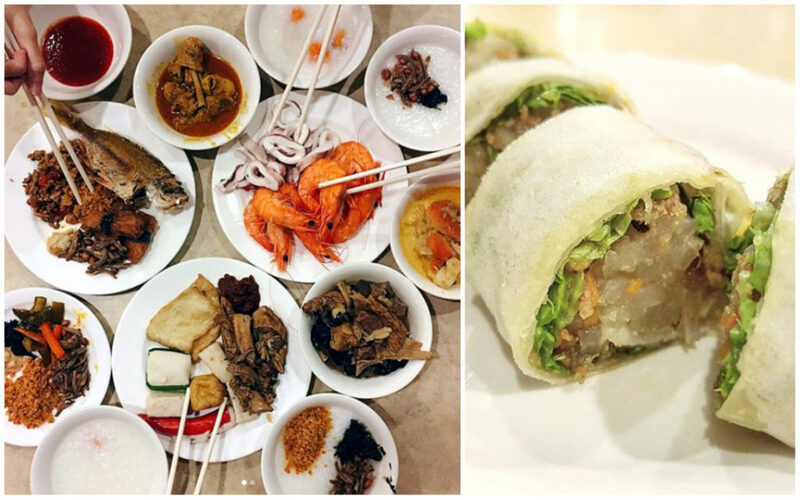 While you can’t get flowy Liu Sha Baos and jiggly egg tarts from this affordable buffet, you can expect to scarf down Steamed Juicy Meat Dumplings, Pan-fried Guo Tie, and one serving(for 4pax or more) of their signature Lao Beijing Popiah. The spread is not impressive, but there is XLB so who really cares right? 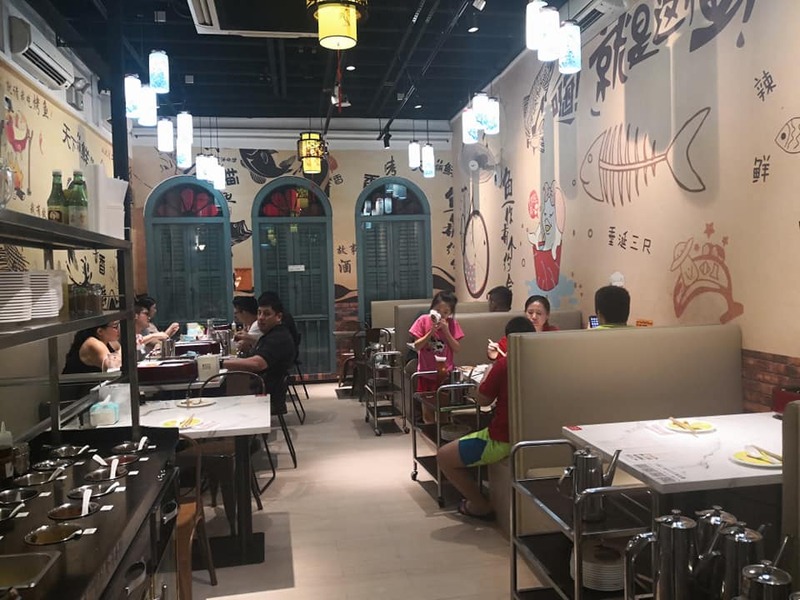 Compared to Lao Beijing, Ban Heng’s menu stretches much longer, but the value-for-money buffet lunch is only available at its Harbourfront outlet. 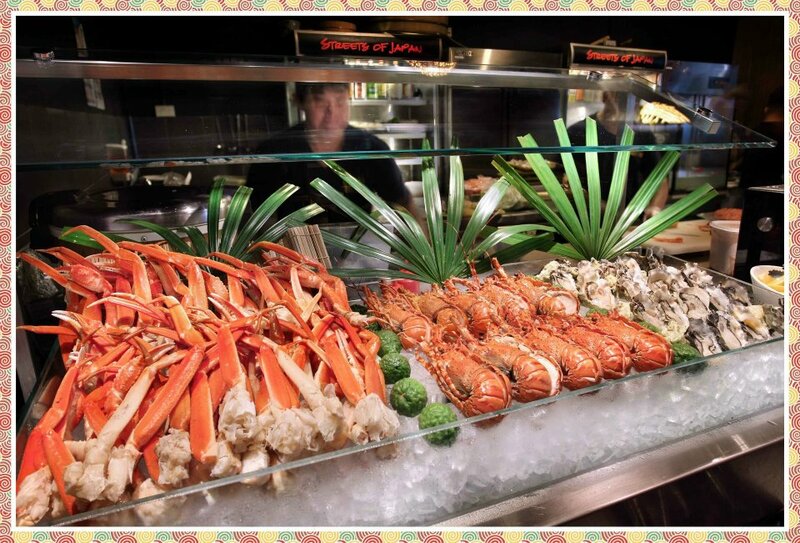 Starting at an economical price of $17.90++ on weekdays, the buffet runs from 11.30 to 2.30pm everyday. One dines free for every three paying adults, so do your math and come in multiples of four. 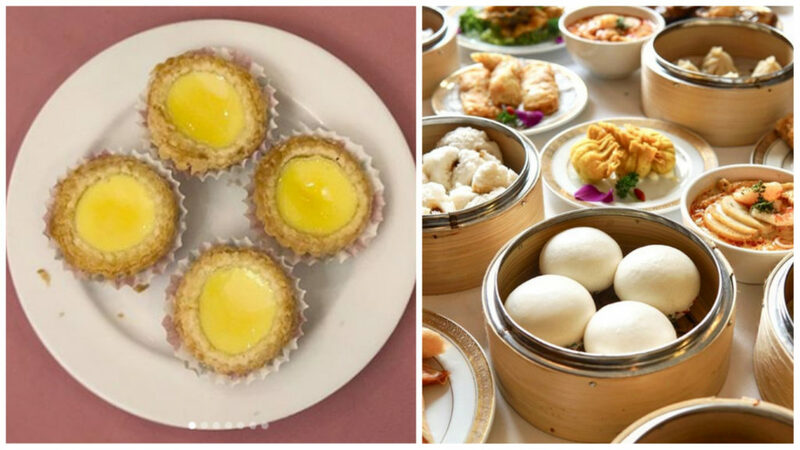 Besides quintessential favourites like the XLB, Liu Sha Bao and whatnot, they also offer less common options like Deep-fried Durian Balls, Deep-fried Cheese & Ham Roll, and Paper-wrapped Chicken. 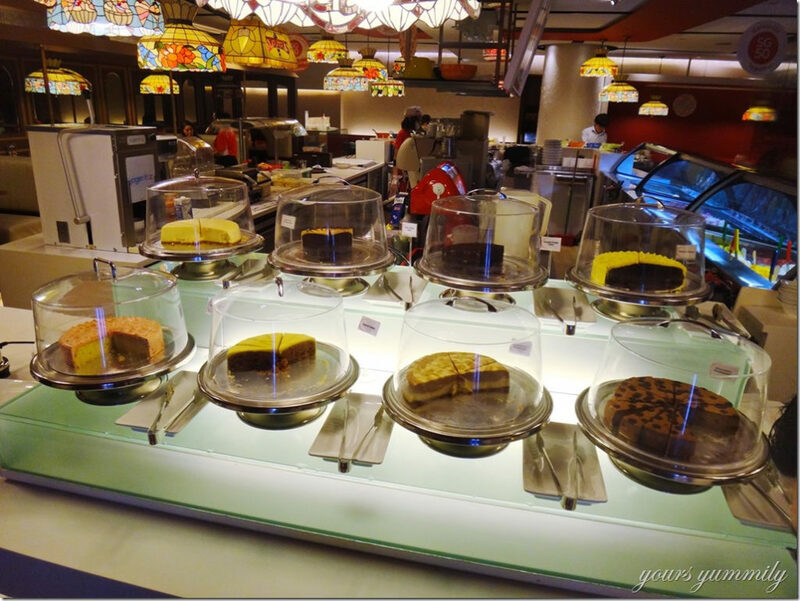 Before you worry about what to eat for dessert, they also offer a complimentary French Cheese Cake for each diner, but that is if you still have stomach space for it. 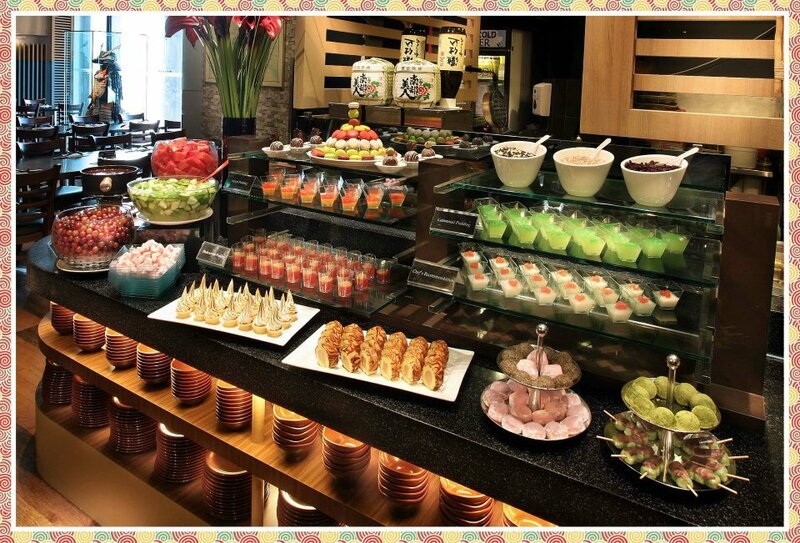 “MEGA Japanese Buffet at Mini Prices” is what is written on its website and well, that’s not a lie. 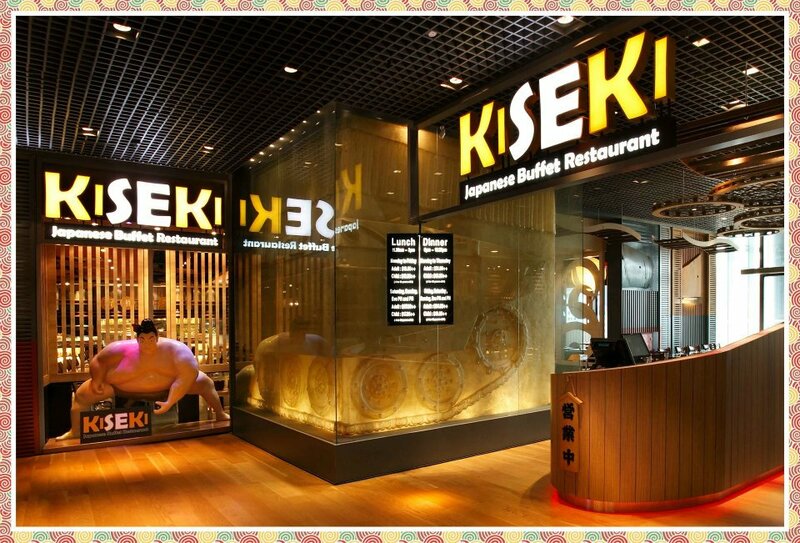 With over 200 buffet items up for grabs at just one place, Kiseki at Orchard Central is the place to go when you are looking for variety. 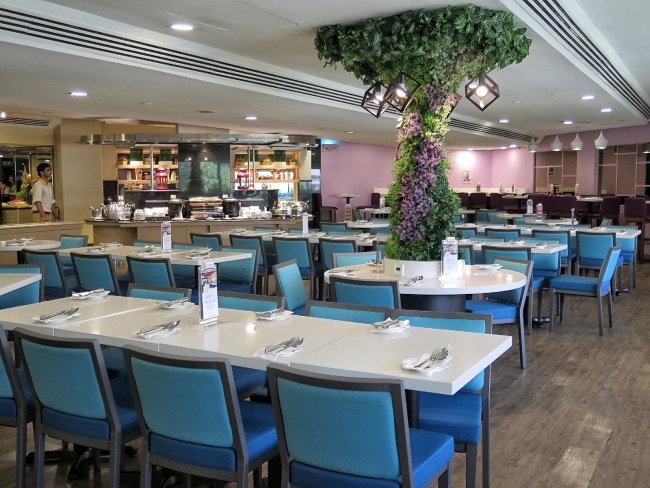 Prices start at $19.90++ for a weekday lunch, which runs from 11.30am to 3pm. For weekday dinner, prices are bumped up to $29.90++. 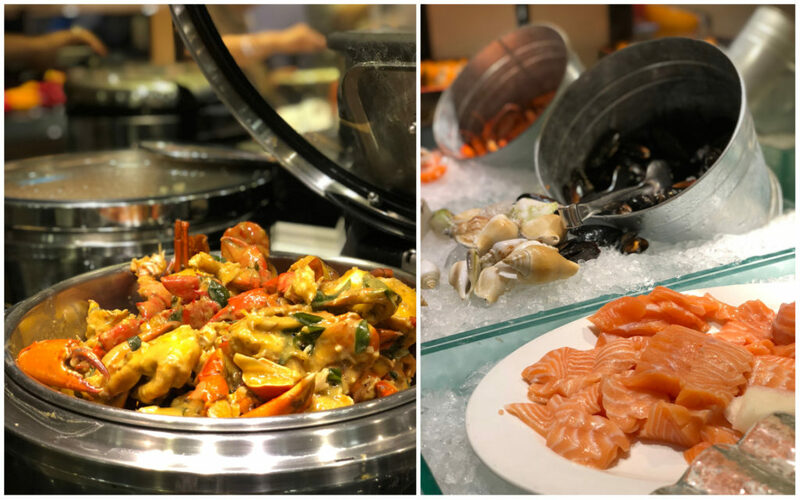 If you are determined to have a taste of all 200+ items in the buffet, go ahead and challenge yourself, but here are some highlights that you should charge at first – Fresh cold seafood, sushi and sashimi, yakitori & teppanyaki, and waffles with Japanese gelato. Queues might also get crazy for this one, so reserve a seat before heading down. 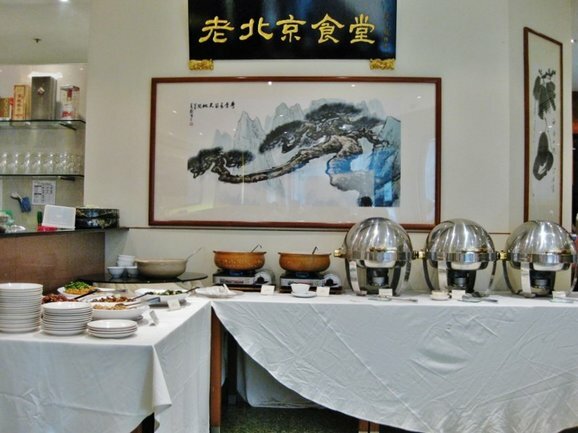 Located at the heart of Chinatown, you don’t expect to find an international buffet that goes below $30. 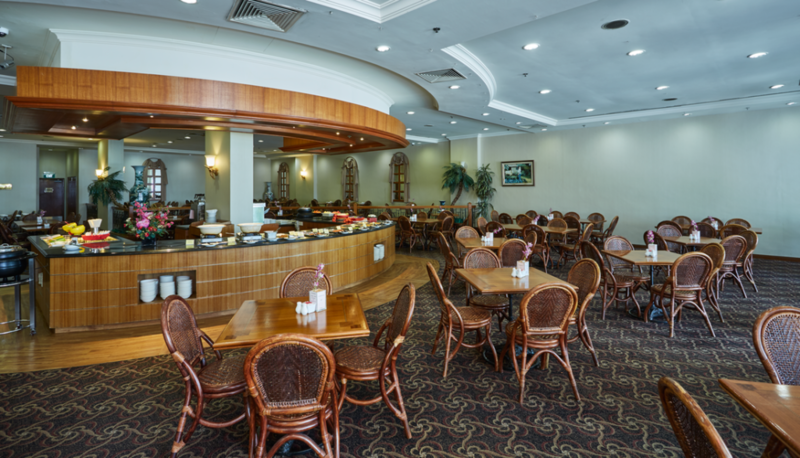 Despite the spread that it offers, Tiffany Cafe & Restaurant is Halal-certified so Muslim friends, hop on board. 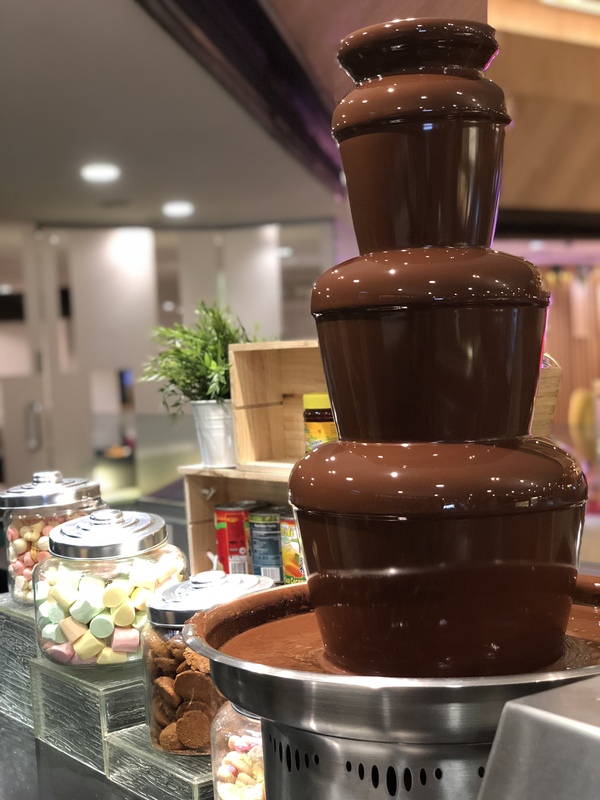 A weekend high tea session here goes at only $19.90++, which offers a decent spread of cakes, puddings and chocolate fondue. Not a sweet tooth? 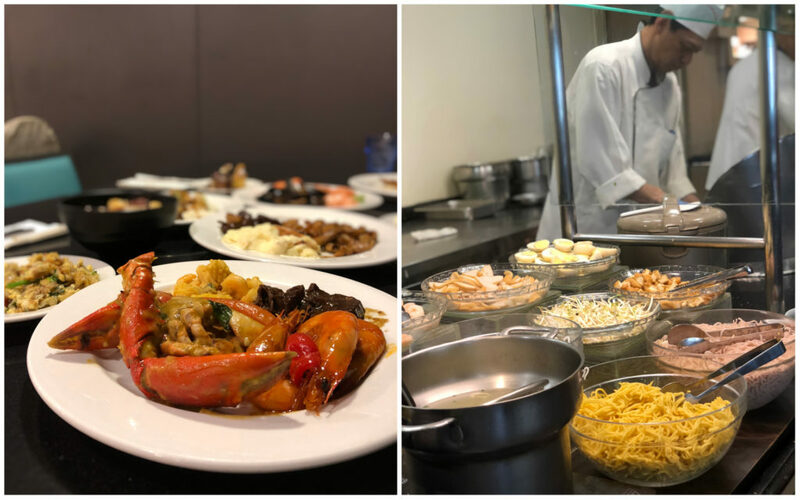 Tiffany Cafe’s buffet lunch can also go as low as $26.90++ if you have an OCBC or UOB card, which will get you a 1-for-1 deal (ends 31 Dec 2018). If not, you can also get an e-voucher from the Fave app, and you will only need to pay just $60 for 2pax. The atmosphere here is pretty decent and the same goes for the spread. I was stoked to see a huge spread of little cakes, chocolate fondue, and even a tiny pancake maker! Wandering around, you will find yourself bombarded with choices like fresh sashimi, crabs, and a range of cooked delicacies. The salted egg crab during my visit was not fresh, but the other dishes were passable. Remember to save space for the Durian Pengat, which is a durian dessert that is creamy, thick, and unlimited. Sometimes, we just want to indulge in the simplest of comforts, which makes us crave for homey flavours. 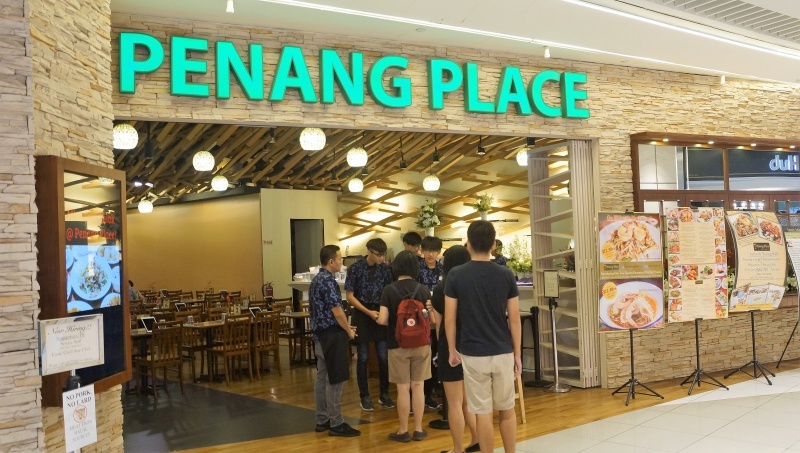 At Penang Place, you can expect a value-for-money spread of authentic Penang cuisine, located at in Suntec City. You will be paying $24.90++ for weekday lunch, and $27.90++ for dinner, which is not the cheapest, but definitely reasonable for the quality and variety here. 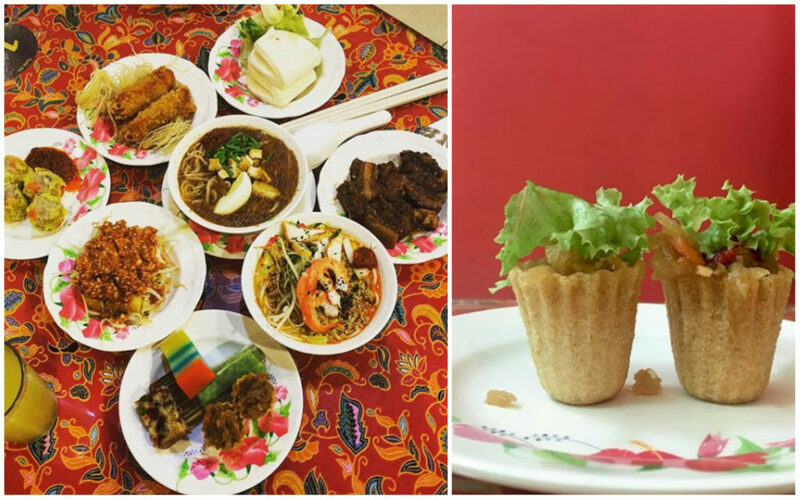 Almost all the dishes are made in-house by the chef, who was born and bred in Jalan Jelutong Penang. You will be feeling cosy with familiar classics such as their signature Char Kway Teow, which packs a robust wok hei aroma. 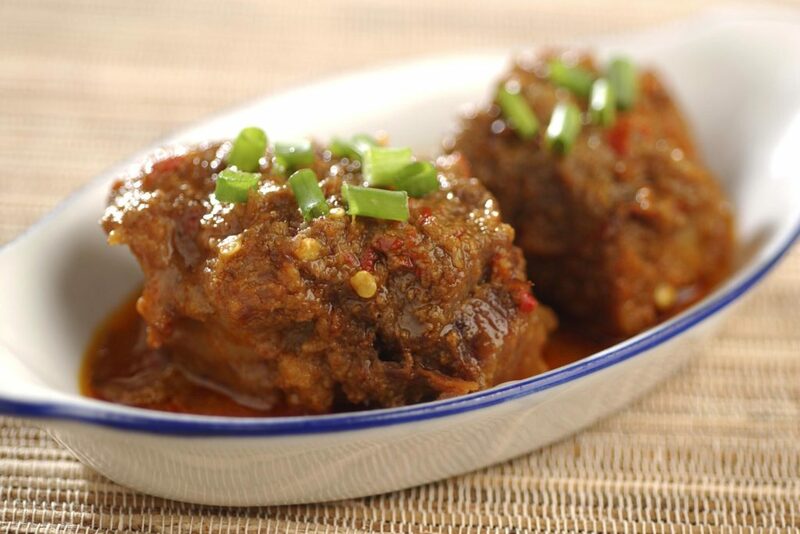 Also try their outstanding Beef Rendang, Dry Sotong Curry, and Chicken Satay. Before you get all stuffed from the savoury foods, hold your fork and save some space for the selection of signature kuehs, which are also made in-house. 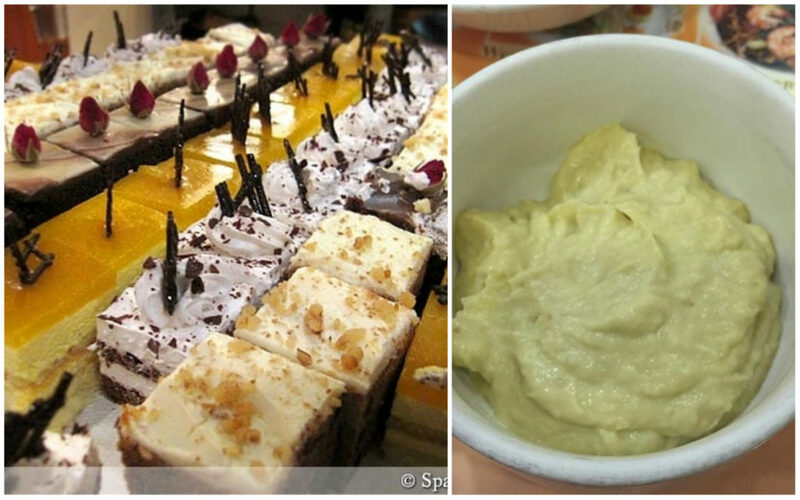 That includes the tri-coloured Sweet Potato Kueh and the Chendol DIY corner. 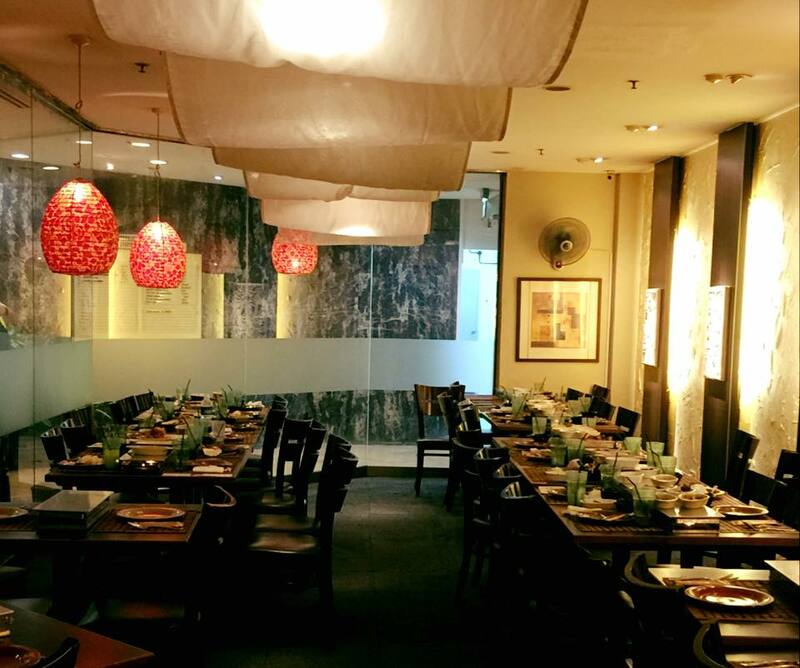 You can read our full review of Penang Place here. No pork or lard served, ingredients are halal-sourced, but no halal certification. You know, sometimes it’s the best to let your children watch TV and videos instead of pinning them to the study desk because I wouldn’t have known anything about the Peranakan culture if not for the local TV series – The Little Nyonya, which I religiously watched as a child. 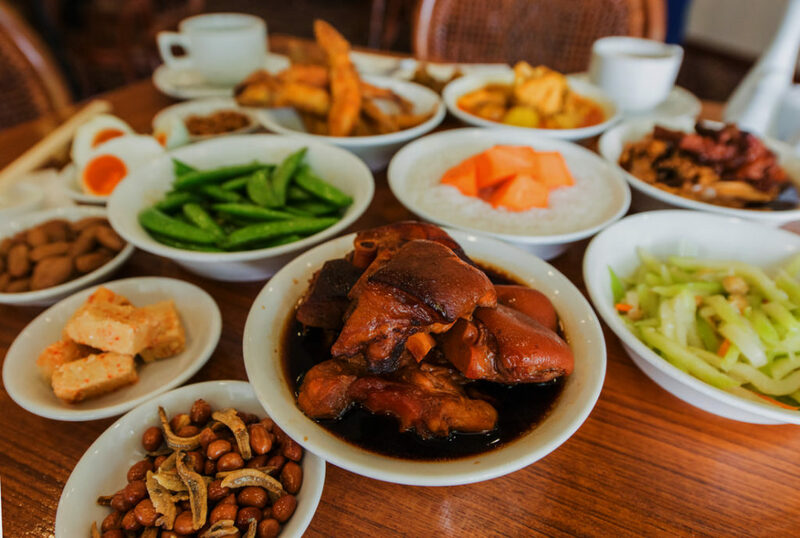 Peranakan cuisine is hard to find in Singapore, but at Chilli Padi Nonya in NUS, you can find heaps of Peranakan food and eat as you please. A buffet lunch from 11.15am to 3pm here only costs you $18.80++, or $12.80++ if you will fancy a high tea session on weekends from 3pm to 5.15pm. Dinners only run on Fridays at $18.80++ and weekends at $21.90++ from 6pm to 9.30pm. 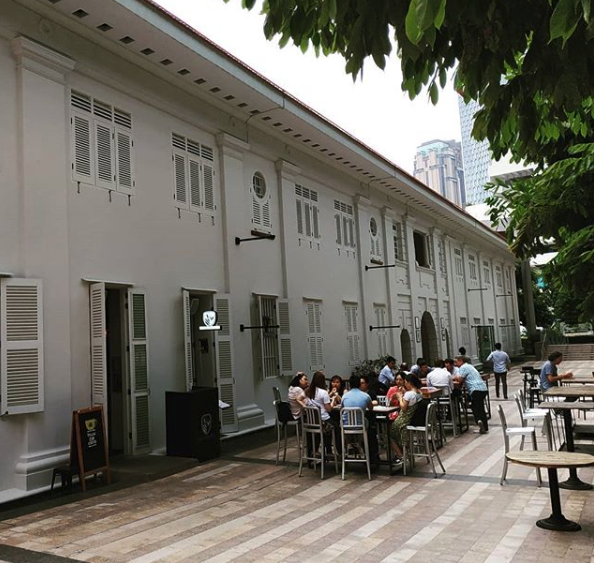 Get in touch with tradition at their DIY laksa or kueh pie tee stations, or at their self-service stations which feature Ayam Buah Keluak, Beef Rendang, Kung Bak Pao and other snacks. 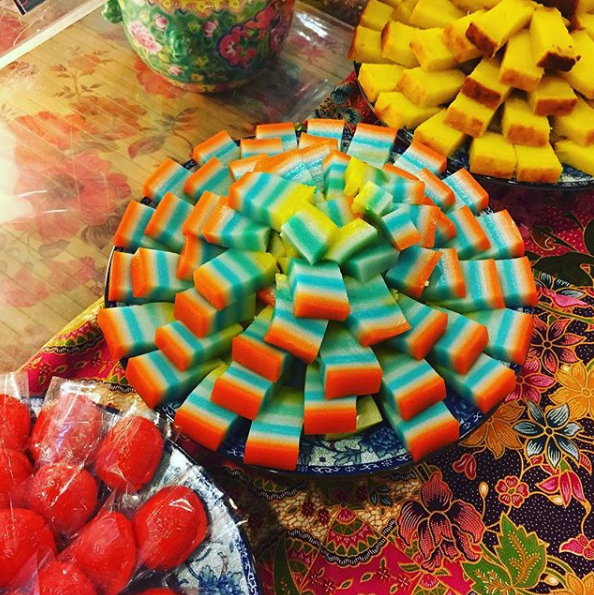 A decent spread of authentic Peranakan cakes and kuehs is also here for you to pile onto your plate. After stopping at the DIY Chendol station, you might be stuck at the kueh station, where there are classic favourites like rainbow kueh, kueh lapis and more. 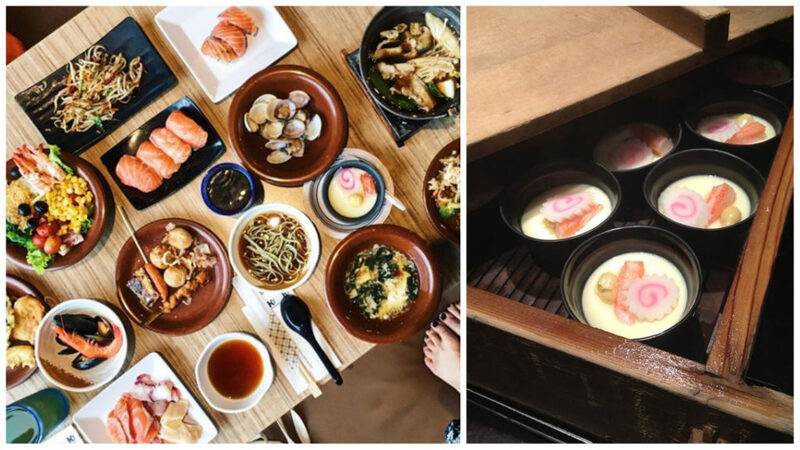 Unlike standard buffets where you either have to order continuously and wait for your food or stand in line to queue, The Ricetable on Orchard Road has an interesting take on what buffets should be like. 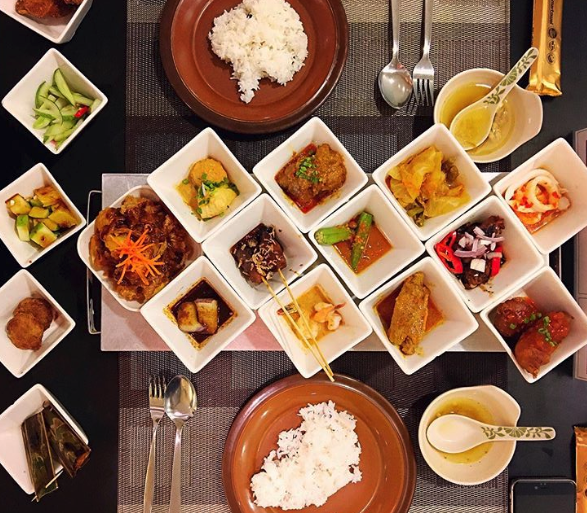 All available dishes for the Indonesian buffet will be laid out on your table ALL AT ONCE in sampling portions, so you can have a look and taste of everything before you pick your favourites to order again. For an all-you-can-eat lunch from 12pm to 3pm, you will be presented with 15 dishes and great service at a ridiculously low price of $18.95nett. For dinner from 6pm to 10pm, you will have 20 dishes at $29.55nett. 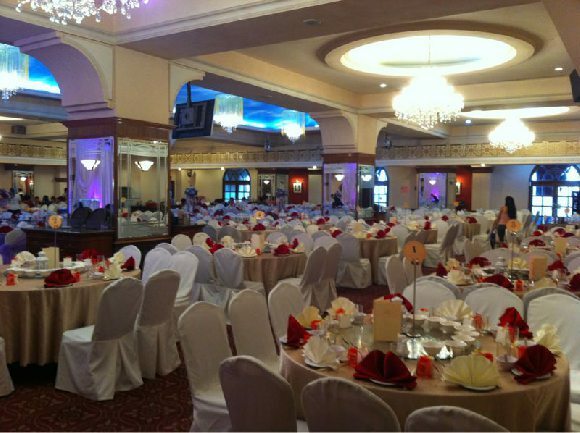 However, there will be no drinks nor desserts on the buffet menu and do note that it is not available on Sundays. 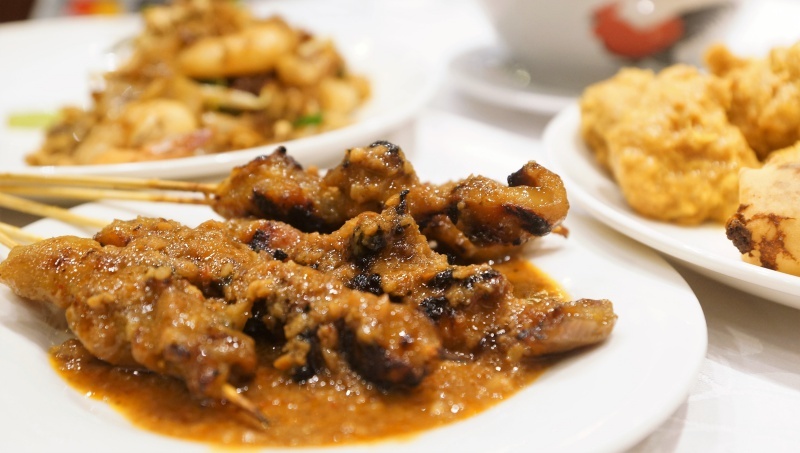 The unique buffet has a colourful spread of Indonesian dishes to offer, with outstanding ones being – Sate Ayam (chicken satay), Tahu Telor (tofu omelette), and Daging Rendang (spicy beef stew). Anyway, you will have a taste of everything, so you don’t really need to heed these recommendations. Before you cringe at the idea of slurping bowl after bowl of watery rice and skip this list, read on first. 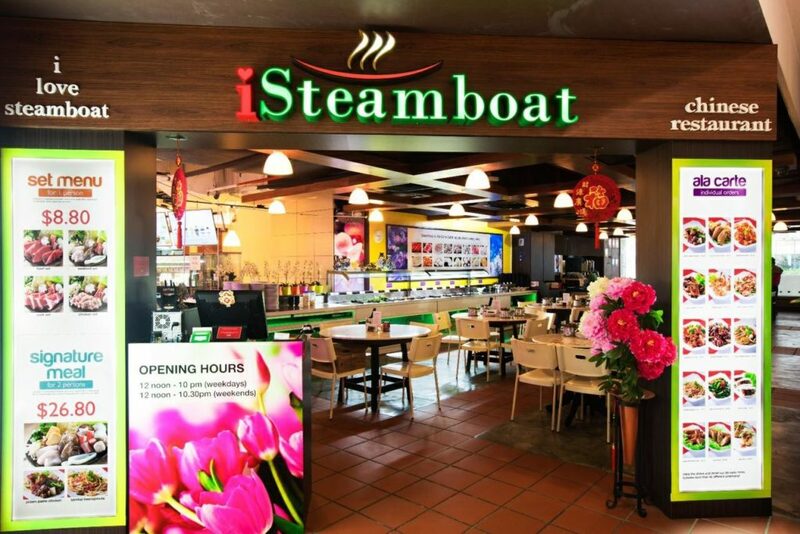 Porridge is not necessarily the first thing that comes to mind when you are craving for a buffet, but iSteamboat’s Porridge Lunch Buffet at Marina Square has a spread that well exceeds what you are paying for. On both weekdays and weekends from 11.45pm to 2.45pm, you will only be set back $8.80++ for a scrumptious Teochew Porridge feast. Yes, what a time to be alive guys. Do note that this is only available for lunch everyday. A generous spread of 25 dishes is readily available for you to choose from, with only one type of porridge – sweet potato porridge. If you are craving more carbs, trays of fried carrot cake, fried rice, and fried kway teow have your back. 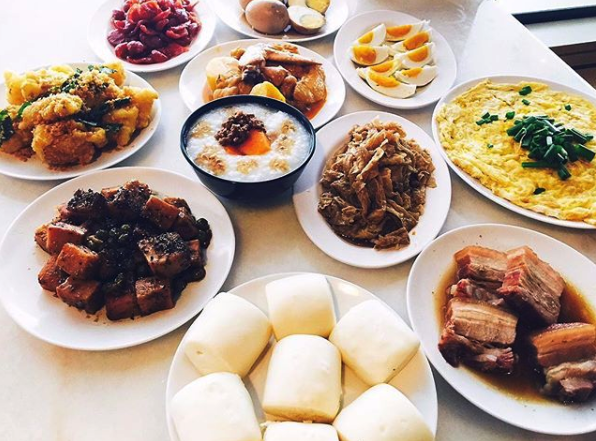 Have free-flow sides like fried fish, onion omelette, ngoh hiang, and minced meat along with the warm porridge. It’s a meal that screams comfort. The caveat is that the cheap price tag equates more to value by quantity rather than quality. The food here won’t win any Michelin stars, but it will fill the most voluminous stomach. Sporting a dated look, Crystal Cafe at Orchard Grand Court is tucked away in the quieter side of town and also offers a heartwarming Taiwan Porridge Buffet. The spread here is wider and includes some sweet desserts, so prices are steeper. Starting at a reasonable price of $14.80++ for a weekday lunch from 12pm to 2.30pm, it is only jacked up to $16.90++ for weekend dinners from 6pm to 10pm. 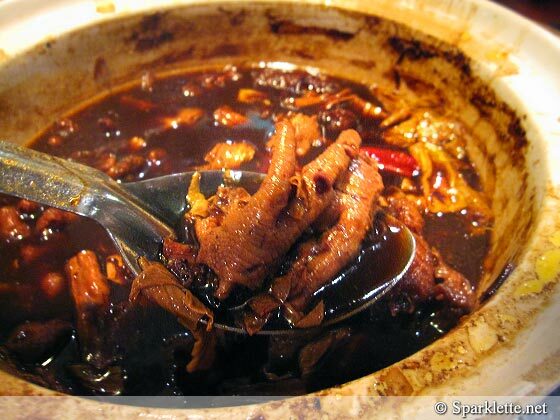 If you are a fan of braised dishes, you are in luck because there is a variety of them here, from braised chicken feet to braised mui chye. 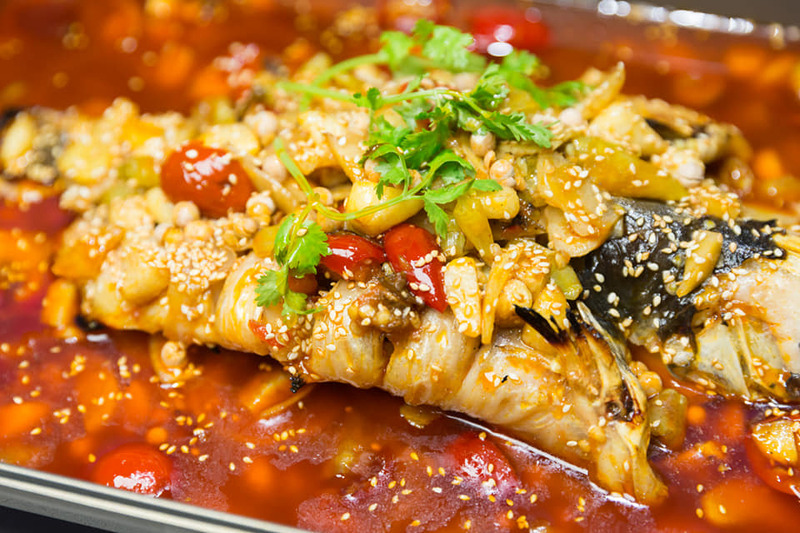 Over 30 dishes are waiting for you to take your pick, like kiam chye, brinjal, and fried leatherjacket fish to complement your sweet potato porridge. You might even find roti prata and curry chicken if you are lucky! 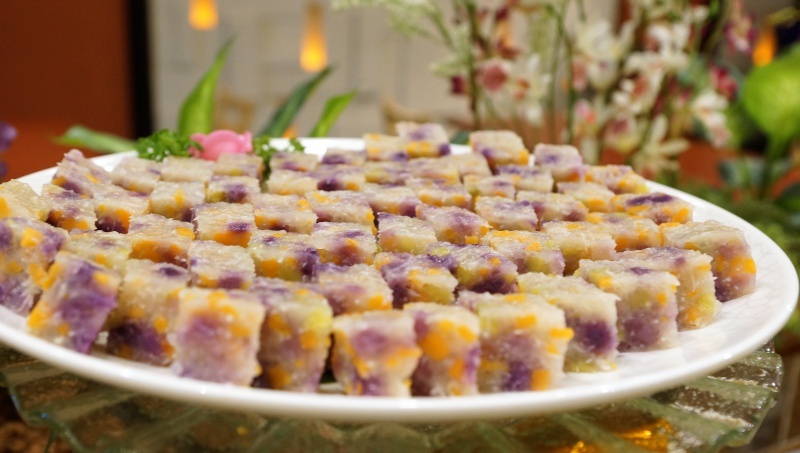 Desserts-wise, you may expect some assorted cakes, ice cream, or even durian pengat. The sweets are not fixed so you get what you see. 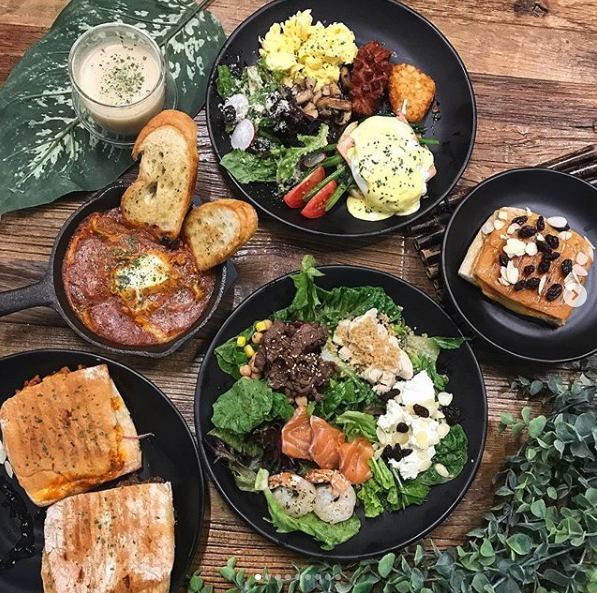 Hit your supper kakis up right now, because Quality Cafe serves up a no-frills Taiwanese Porridge Buffet Supper where you and your friends can fill yourselves up with warm bowls of porridge and go to sleep happy and full. The supper starts at 10.30pm and ends at 12.30am, so that is a 2-hour period for you to feast for just $12.80++ on Mondays to Thursdays. Weekend suppers are only $2 more at $14.80++. 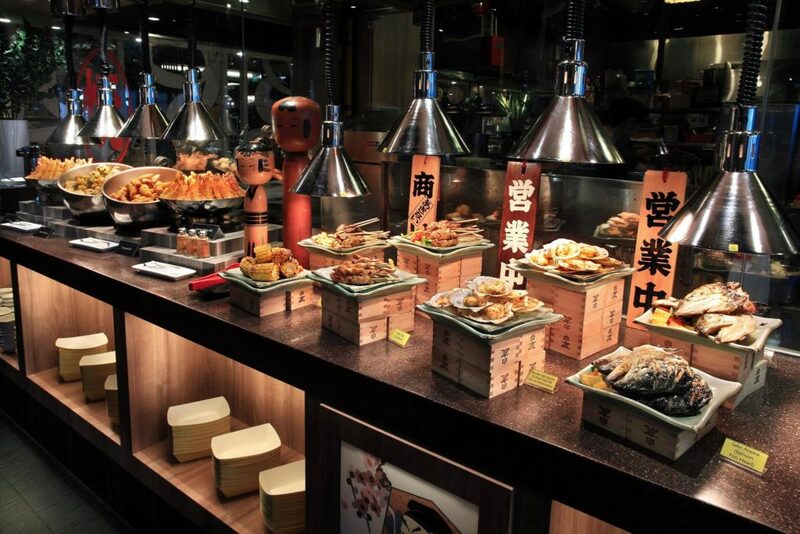 You can also opt for Taiwanese Porridge Buffet Dinner which starts at $24.80++. Calling it a porridge buffet does not actually do it justice, as the variety here extends beyond homemade, simple dishes. 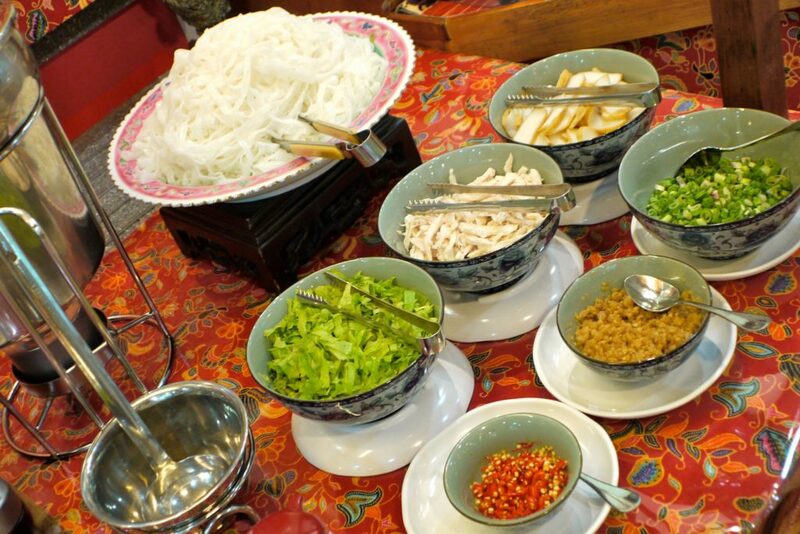 Besides porridge classics like braised duck and eggs, you can find options like their delicious laksa, yong tau foo, and even free-flow popiah. 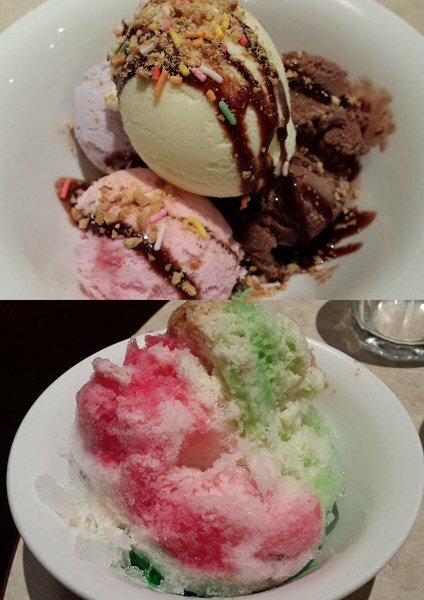 In case you are not already having a food coma, help yourself to their DIY ice kachang station, ice cream, and nyonya kuehs. Worth every dollar and calorie if you ask me. Lines tend to start forming around 10pm, especially on weekends. If you want to have two full hours to indulge, come early! 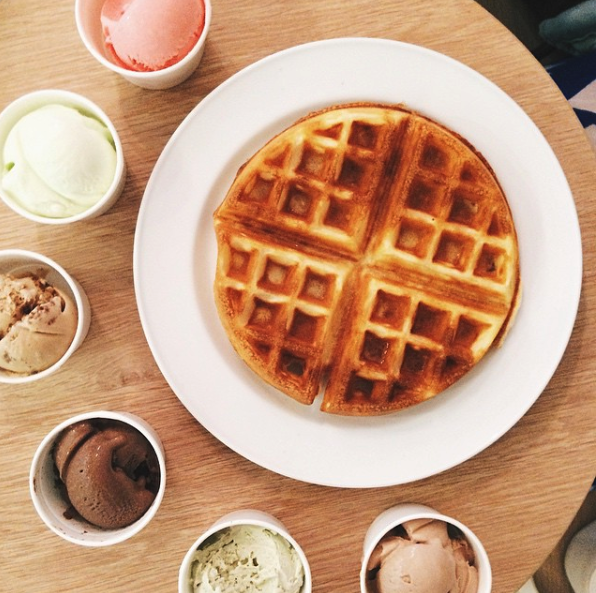 To end this post on a sugar high, here’s a free-flow ice cream and waffles buffet at Little Ice Cream Kafe. 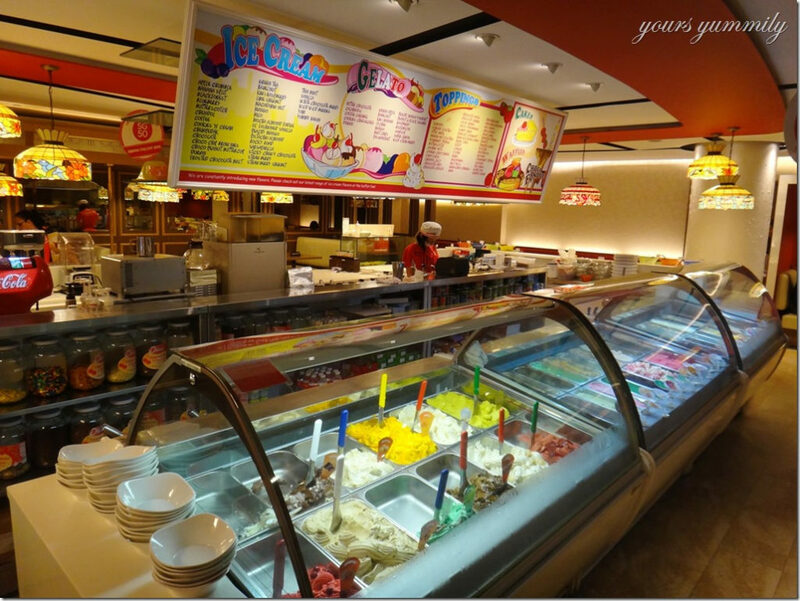 You heard me right, ENDLESS ice cream. Located at Tanjong Katong, this is one of the reasons westies like myself wish we lived on the other end of the MRT map. 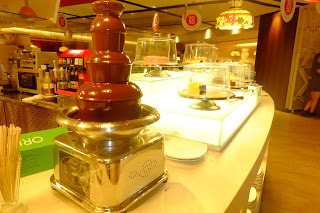 Before you get too excited, take note that the buffet only runs on Fridays at two timings, from 2pm to 4pm and 6pm to 8pm, although there are different deals everyday. 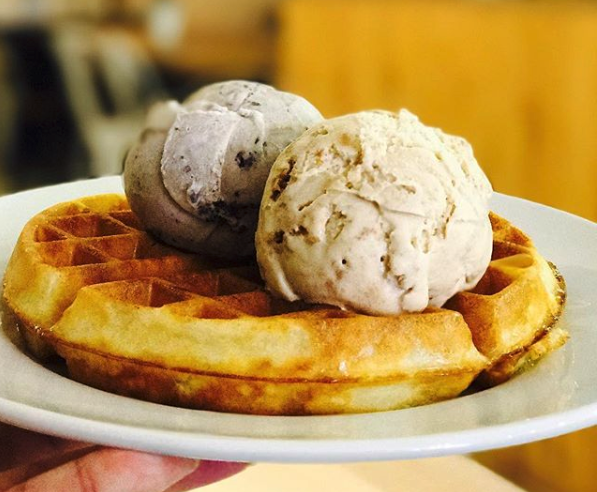 For just $15 per adult, or $13.50 per student, spoil yourself with a colourful array of homemade ice cream and waffles. 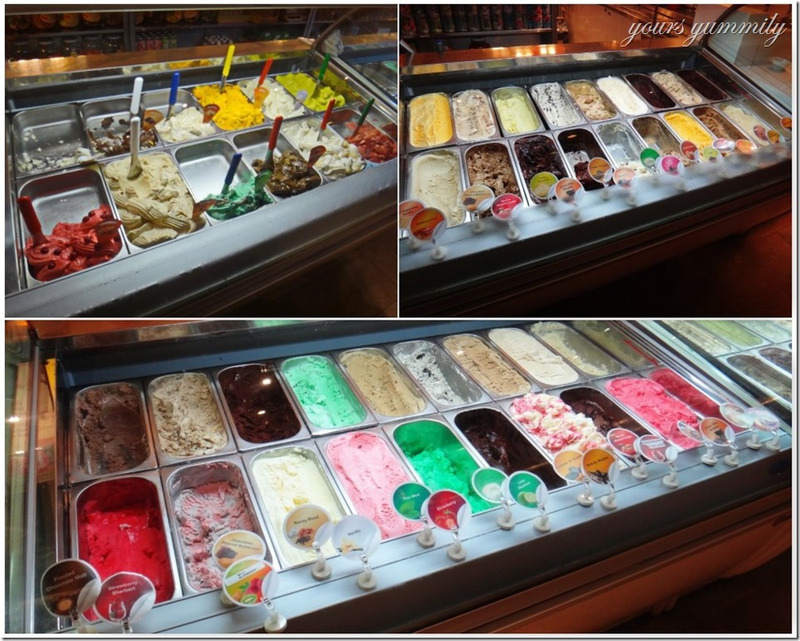 While the ice cream is not out-of-this-world delicious, they are decent enough to quell any sugar craving. 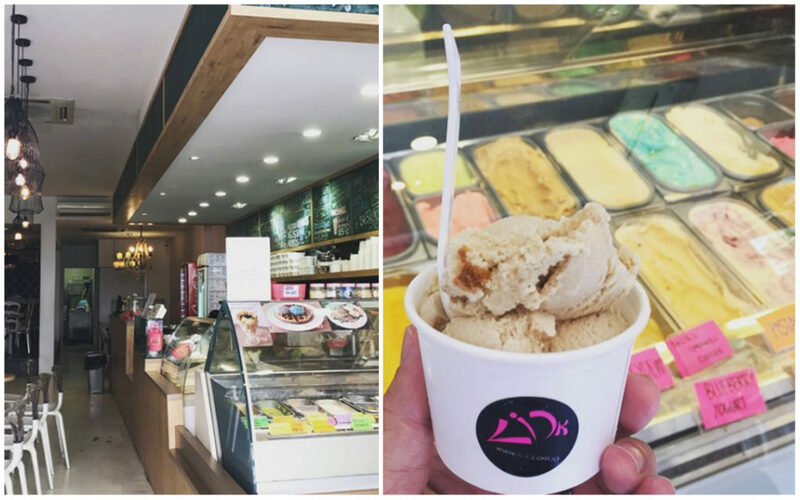 You can go back to basics like Nutella, Thai Milk tea, and Chunky Oreos, or venture into unique flavours like D24 Durian, Kaya Toast, and Honey Lavender. Top your ice cream with mix-ins like oreos or froot loops, and pair them with crispy hot waffles. Starting from $19.90++ for an adult and $14.90++ for a child, or $12.90++ if you order a meal beforehand, the buffet runs everyday from 10.30am to 10pm, exclusively at the ION outlet. If you are a kid at heart or simply have an incurable sweet tooth, heaven is just $19.90 away from you. They are closing on 31 Dec 2018 so drop by as soon as possible!